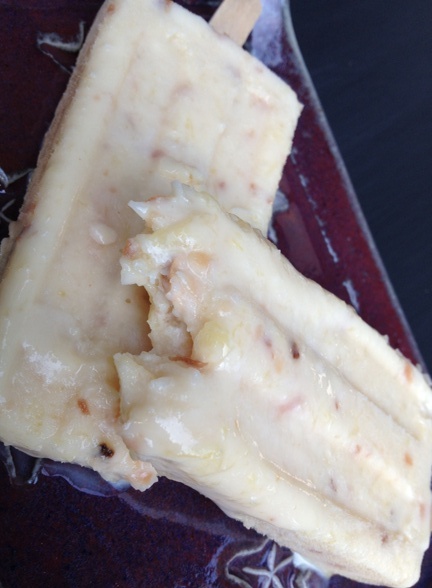 I made these popsicles while waiting for my second weekend getaway and then coincidentally my second getaway involved awesome jackfruit popsicles from a place called Hyppo! My vacation buddy, K, had the pineapple cilantro version and said it was amazing. That was just one of the yummy things I ate. Other yummy things include a berry laced sangria, herb crusted trigger fish, peanut butter pie, and these. 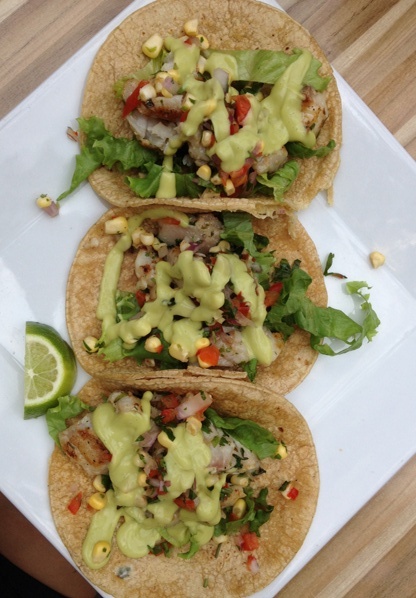 . . Grilled fish tacos from a cute place called Casa Maya. An honorable mention goes to this drink. . . 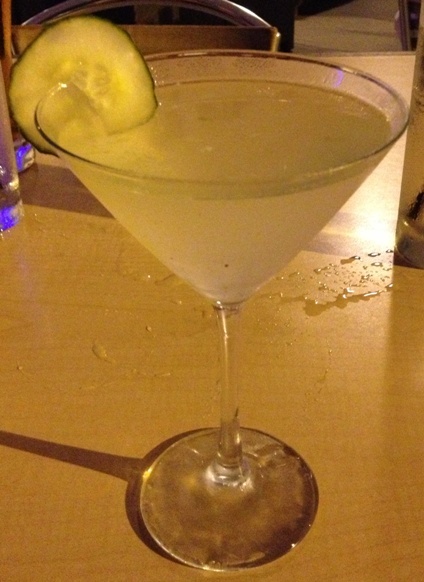 The cucumber martini from Coquina Beach Surf Club! 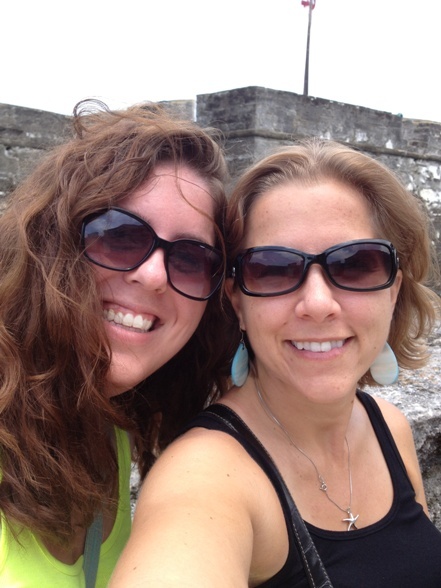 This is K and I visiting the historic Castillo de San Marcos which is the oldest masonry fort in the continental United States. It’s very old, sort of spooky and, I imagine, SUPER haunted. 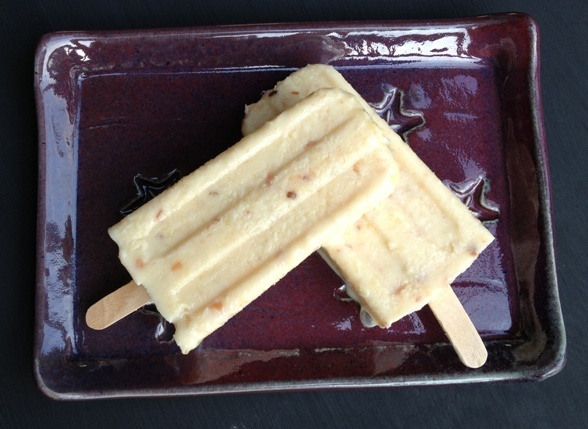 So back to these pina colada pops. They are filled with pineapple, coconut and rum! 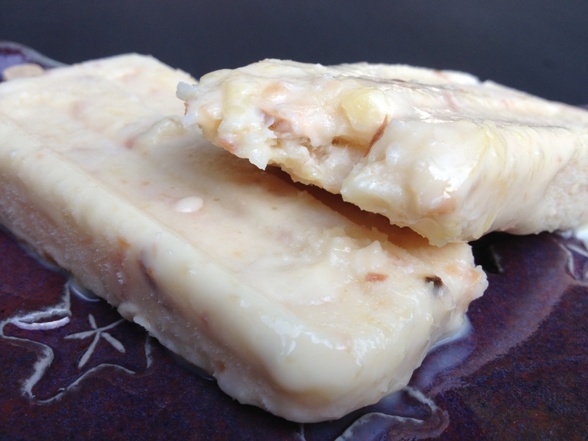 They taste like heaven and they stay very creamy. The alcohol keeps them from freezing too hard. It won’t matter though because you will eat them so fast they won’t have time to melt much! Now that I have finally had a taste of warm weather and gotten some popsicle inspiration, my plan is to try my hand at some others. I’m thinking peach? Pineapple? Basil? Other thoughts? 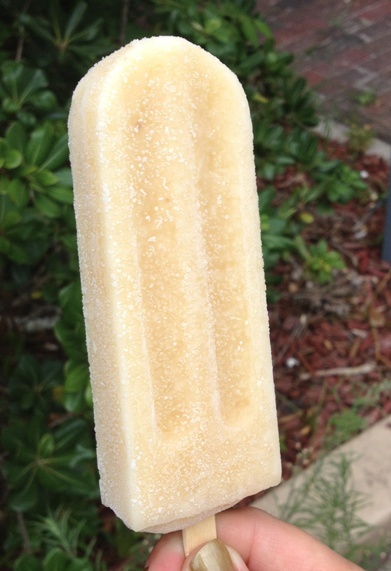 All this popsicle talk makes me wish I were still in St. Augustine and had a popsicle from Hyppo in my hand right now! Pour mix into the popsicle mold. I love my popsicle mold. You can find it on Amazon. Buy some extra wooden sticks while you’re at it. You’ll need it once you get into popsicle making! Freeze overnight and enjoy! Makes 8-10 popsicles.